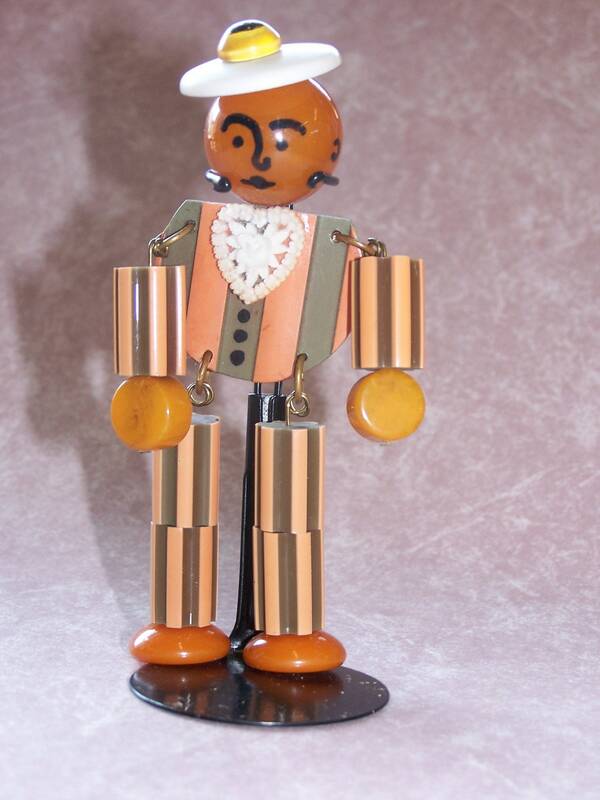 Aw, this little bakelite man is so cute, he is comprised of all original vintage bakelite and plastic components. 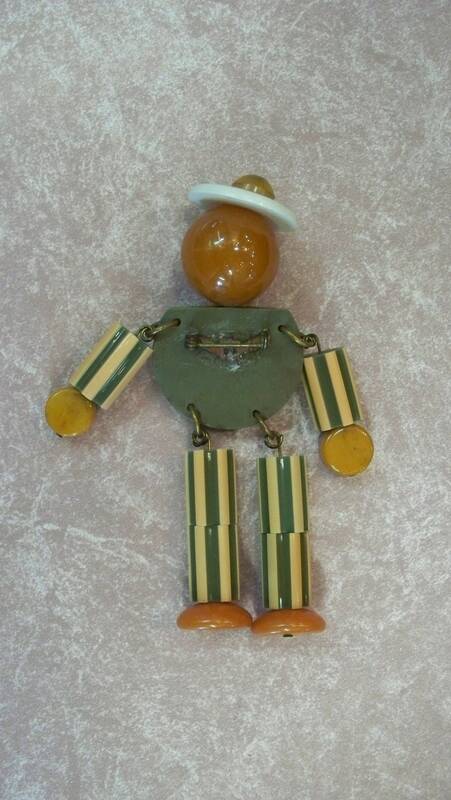 I believe these were made during the 1960's by someone who had lots of leftover bakelite pieces. 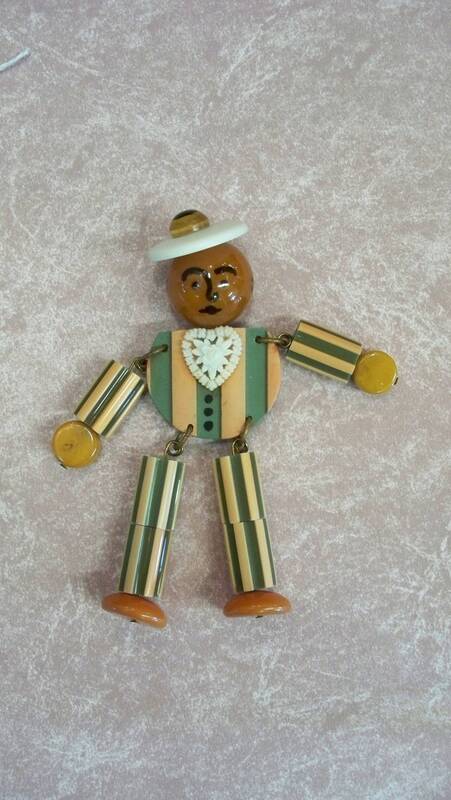 They were purchased from a dealer who had them in his antique store in Michigan for years. Very Collectible! He really owns my heart, I hope he goes to a GOOD home. Approx 5 inches tall. 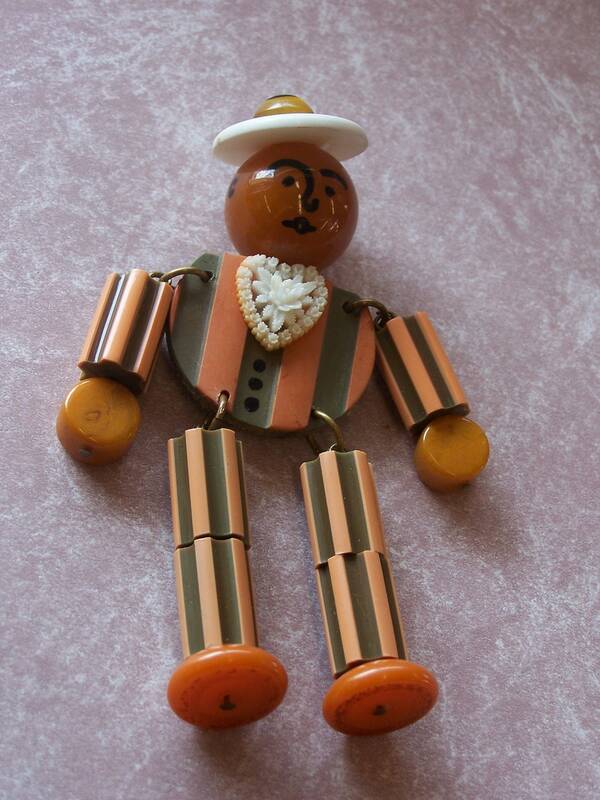 I have lots of figural bakelite people, check my other listings. Please note that the first two photos show the most accurate color of this little man.